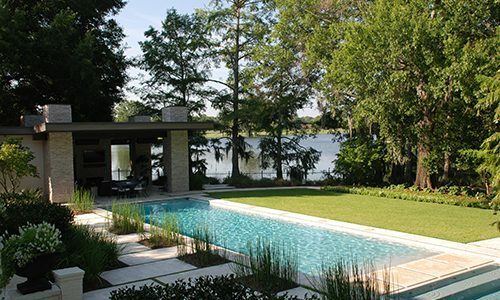 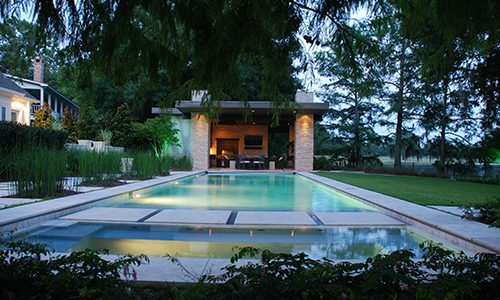 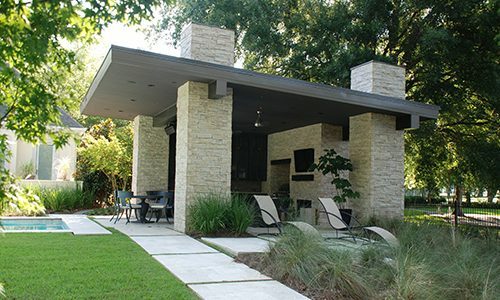 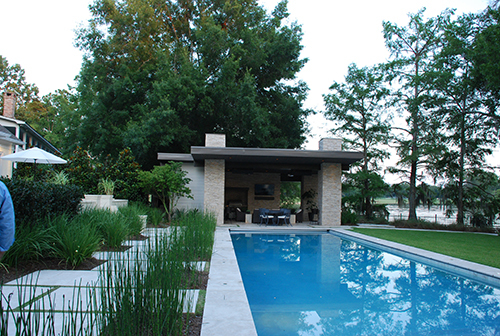 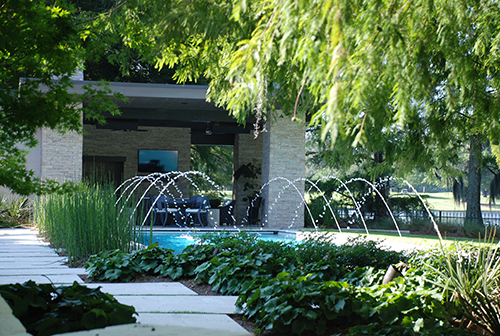 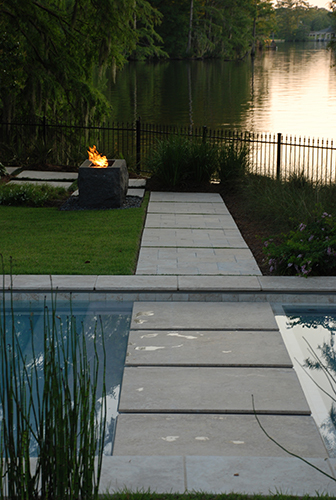 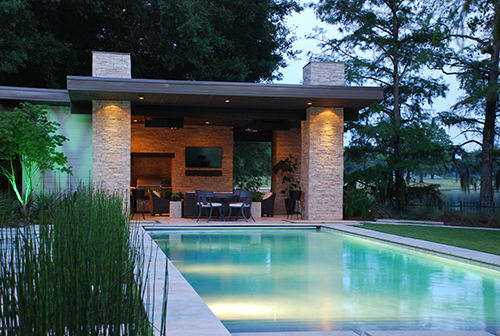 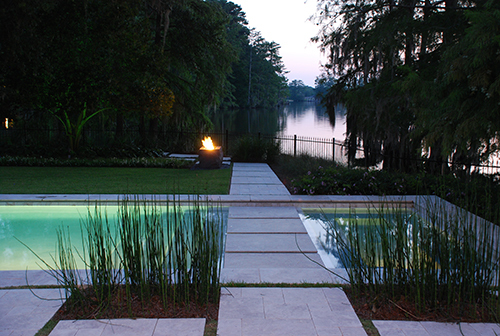 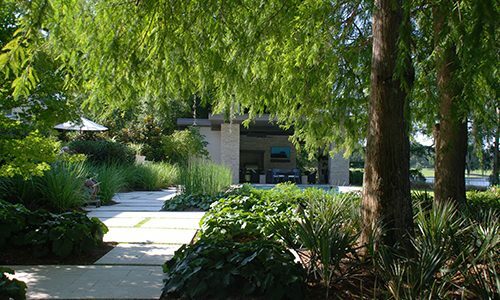 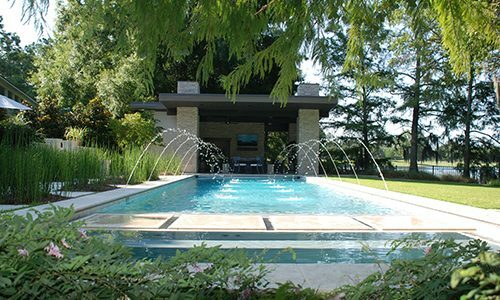 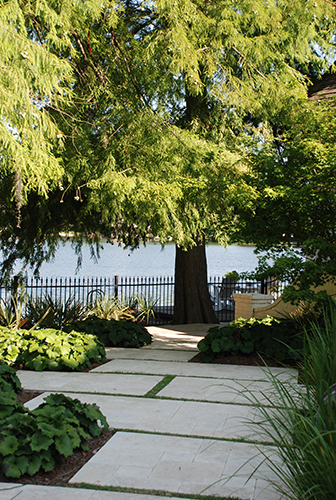 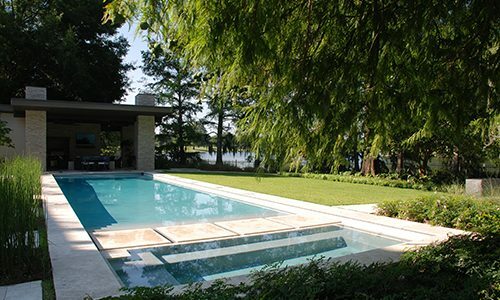 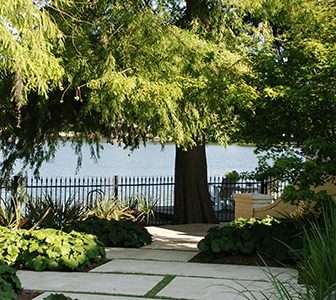 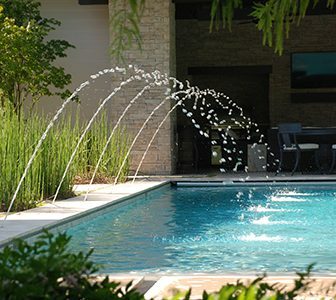 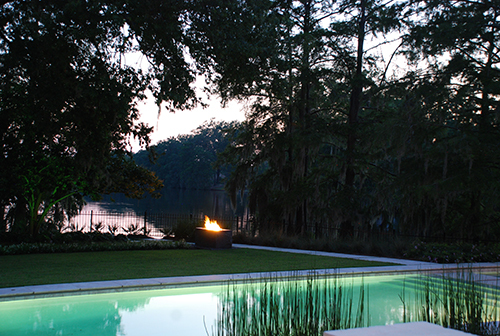 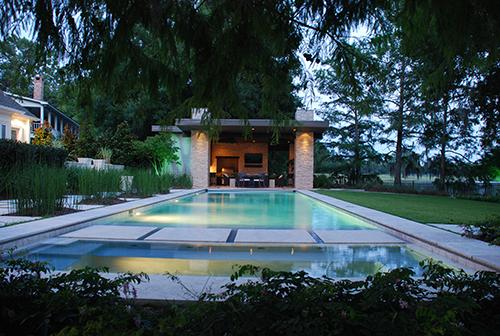 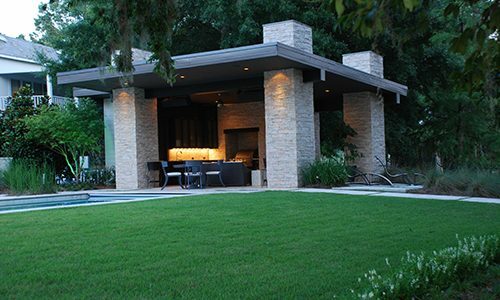 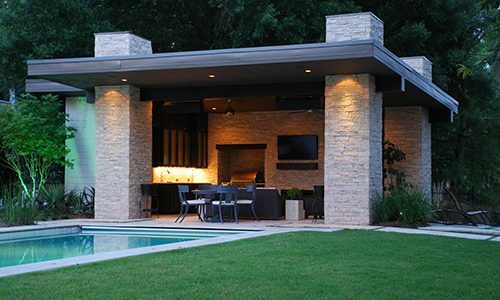 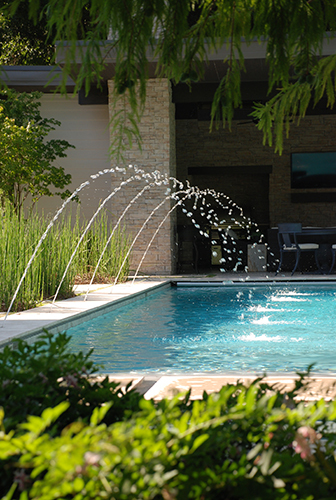 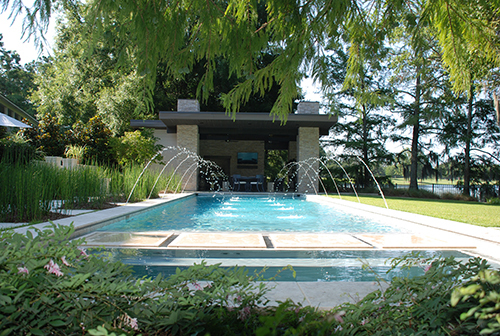 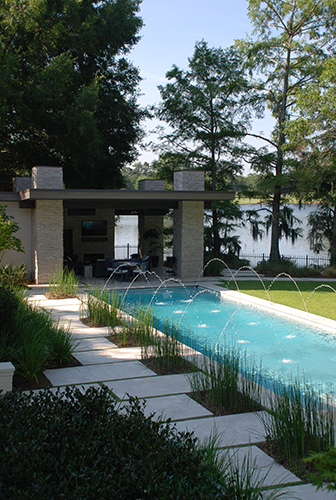 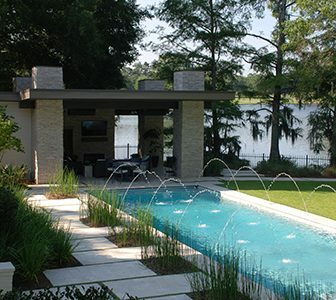 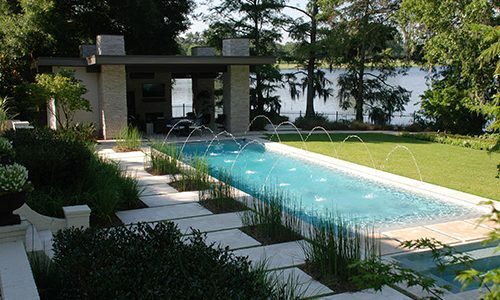 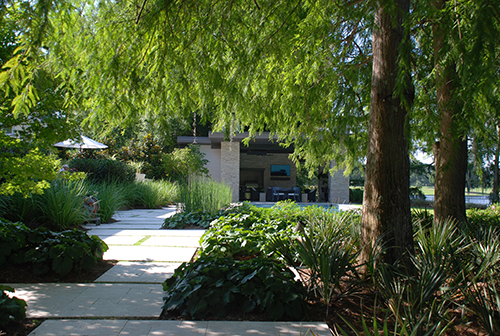 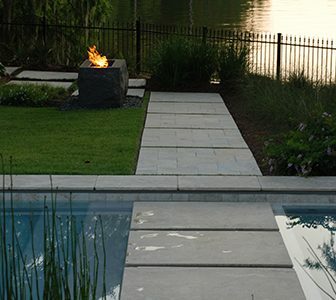 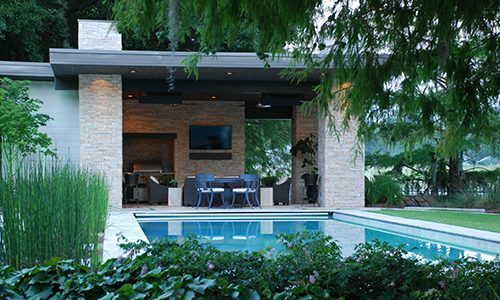 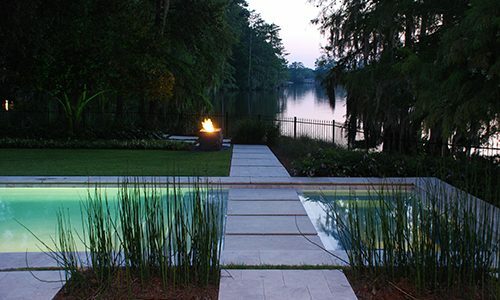 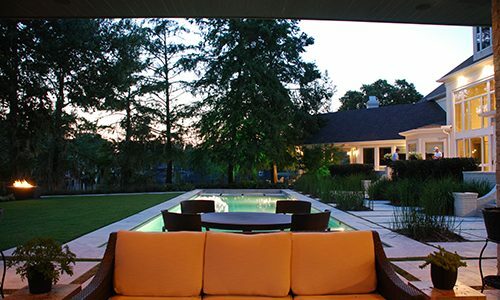 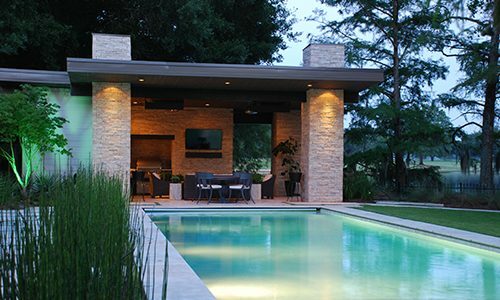 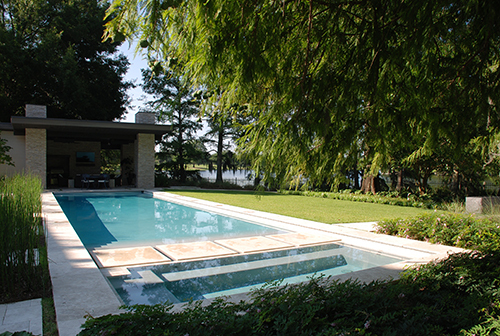 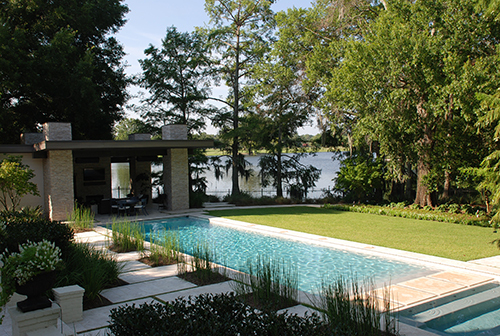 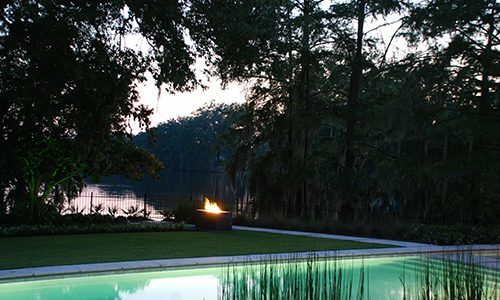 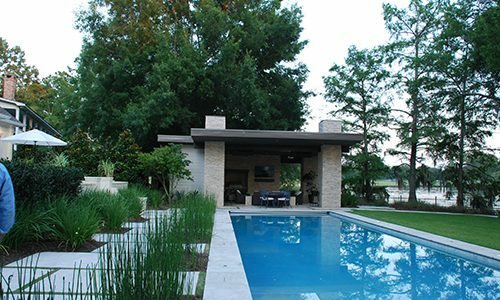 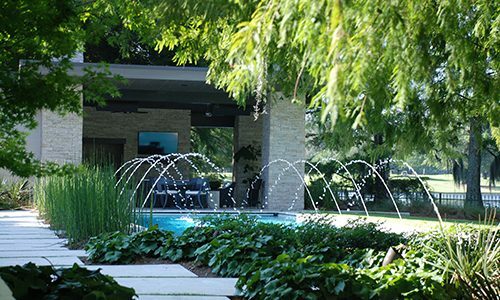 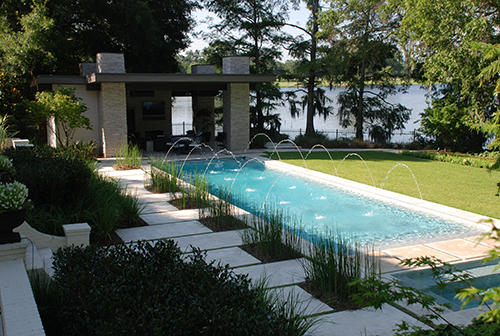 Custom made asymmetrical concrete pads outline this exquisite outdoor area. 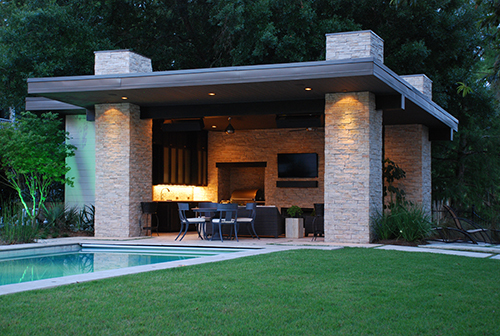 Each pad is covered in travertine tiles and help create the artistic abstract. 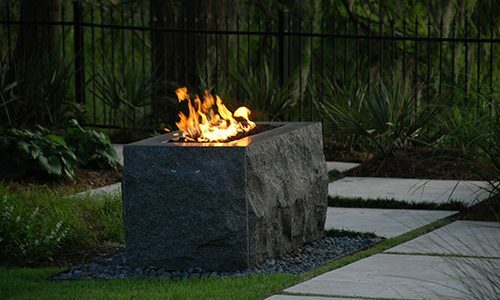 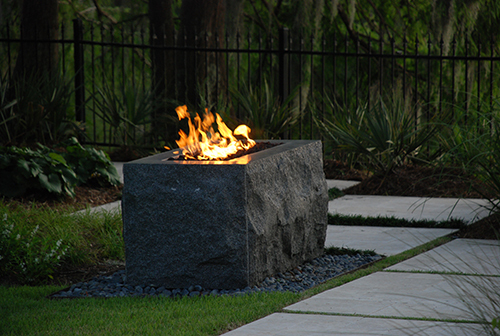 Flanigen Builders created a large and elegant granite fire feature to accentuate the style of this area. 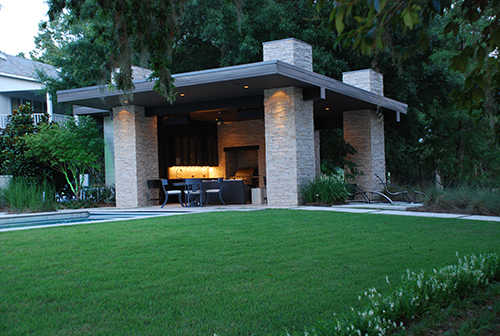 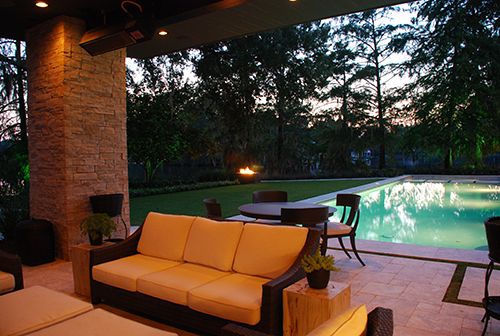 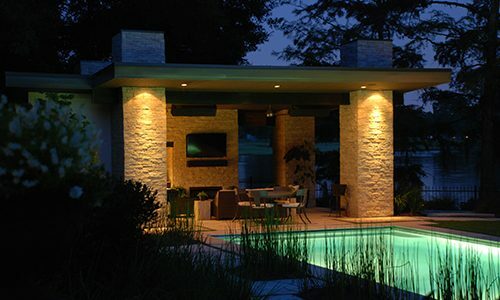 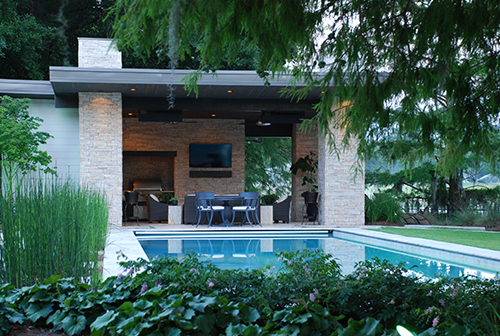 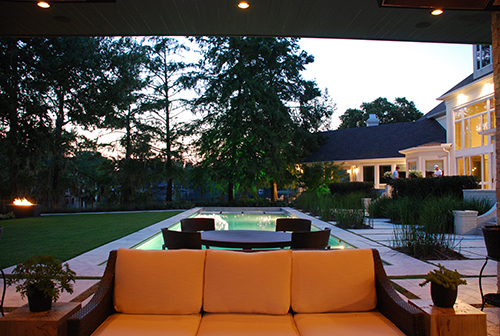 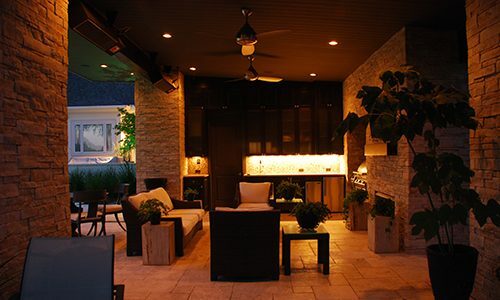 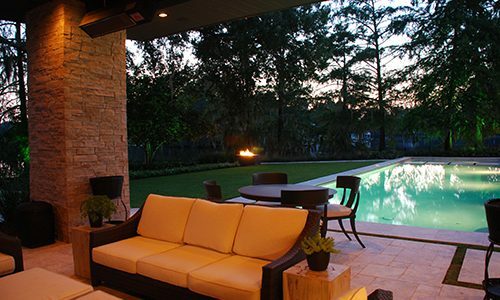 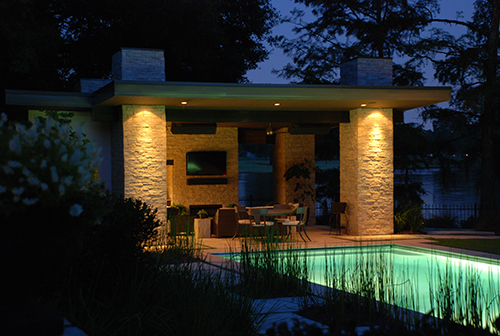 One of the biggest challenges was the build of the outdoor living area. 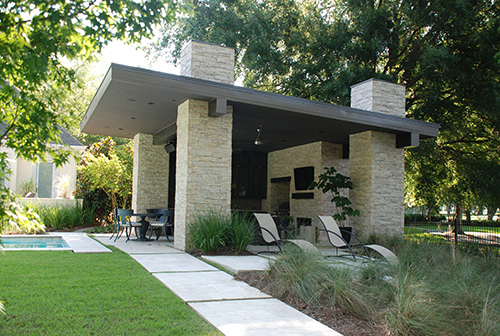 This space included a grill area, sink, an outdoor TV, cozy fireplace, and a walk in shower and bath. 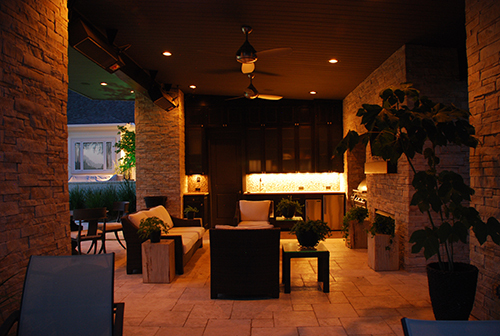 The entire area was accented with custom cabinetry.